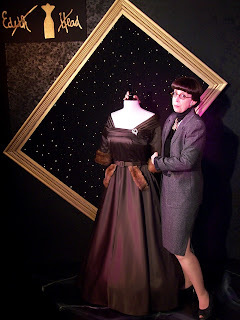 North Coast Repertory Theatre presents A CONVERSATION WITH Edith Head, A behind the scenes feast of great movie lore and delicious stories as told by 8 time Academy Award winning costume designer, Edith Head. 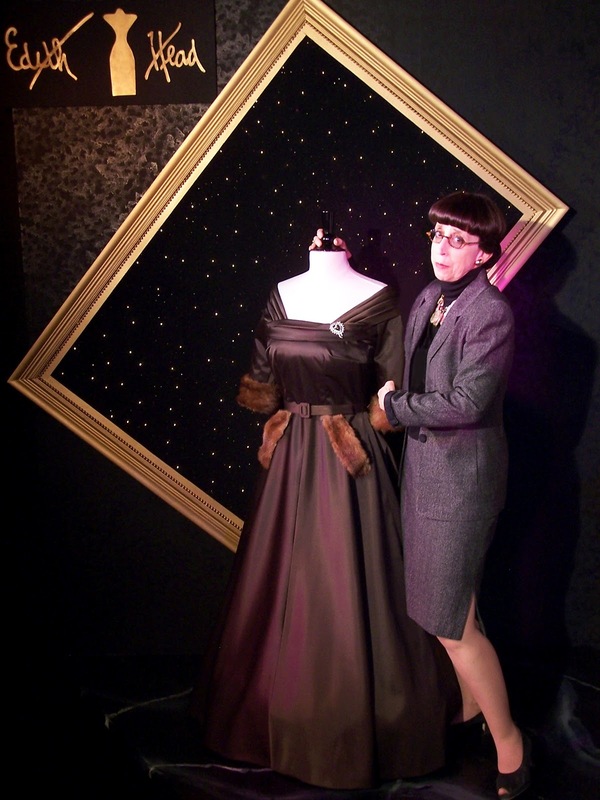 Susan Claassen stars in her internationally acclaimed portrayal of legendary costume designer, Edith Head. Hollywood's golden age comes to life in an evening of wit, wisdom, and a whisper of gossip! A CONVERSATION WITH Edith Head based on "Edith Head's Hollywood" by Edith Head & Paddy Calistro, is a feast of delicious behind-the-scenes stories about Hollywood's greatest stars that provide an intimate portrait of Hollywood's legendary costume designer. In her six decades of costume design, Edith Head worked on over eleven hundred films; dressed the greatest stars of Hollywood; received 35 Academy Award® nominations,and won an unprecedented eight Oscars®. Edith Head's story is as fascinating as the history of the film industry itself, filled with humor, frustration and, above all, glamour. This diva of design helped to define glamour in the most glamorous place in the world - Hollywood! Much of the dialogue in A CONVERSATION WITH Edith Head comes directly from the famed designer. When she was asked to write the authorized posthumous autobiography, Edith Head's Hollywood, Ms. Calistro acquired more than thirteen hours of recollections recorded by Edith Head, which she and Ms. Claassen painstakingly reviewed to gather the remarkable "Edithisms"-- as Ms. Head referred to her own sayings--that abound in the show. In addition, Claassen and Calistro collected insights from Hollywood insiders who knew Ms. Head best: costume designer Bob Mackie, who once worked as Ms. Head's sketch artist; her dear friend Edie Wasserman, wife of the late Universal Studio head Lew Wasserman; and Art Linkletter, award-winning host of "House Party", the daytime television show of the 1950s that brought Edith Head into the homes of America. Susan Claassen is celebrating her 42ndt anniversary with Invisible Theatre. As Managing Artistic Director, she has produced over 400 productions and directed over 90 including THE LETTERS. Suz was nominated for the 2011 LA Stage Alliance Ovation Award and BroadwayWorld LA Award as Best Actress and received the Phoenix New Times Award for her portrayal of Edith Head in A CONVERSATION WITH Edith Head (www.edithhead.biz). She was most recently seen as Olive in IT's OLIVE AND THE BITTER HERBS and won the 2014 MAC Award for Best Actress in a comedy. Suz was selected as one of Arizona's "48 Most Intriguing Women", is a member of the League of Professional Theatre Women and has been a clown in the Macy's Thanksgiving Day Parade since 2001. She has been a proud member of Actors' Equity Association since 1969 and dedicates her work to the living memory of her beloved mother, Goldie. Edith Head (1897 - 1981) was undoubtedly Hollywood's most famous costume designer, or "magician," as she liked to call herself. Her career spanned fifty eight years of movie making. In those years she dressed almost every major star who shone in the industry and, with her straight-cut bangs, dark glasses and tailored suits as her trademarks, became more famous than most of them.Edith Head died in 1981 of a progressive and rare blood disease, myeloid metaplasia, two weeks after completing work on her last film, Dead Men Don't Wear Plaid. She left her estate to the Motion Picture and Television Fund and to other charitable organizations aiding Native American children and her beloved animals. Her funeral was attended by hundreds, including not only Hollywood's stars, but also her devoted colleagues who worked with her behind the scenes. A Paramount security guard dressed in a uniform designed by Edith Head mused, "I remember her real well. At Christmas she took care of every one on the lot. She was the greatest designer in the world. Edith Head was quite a girl." And that she was.